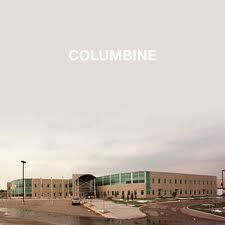 The word “Columbine” is now a part of the American vernacular. It’s a symbol of tragedy and heartbreak. It’s an ode to the bizarre psyche of a minute portion of American youth. On April 20, 1999, Eric Harris and Dylan Klebold entered their high school with bombs and guns and set about to destroy everyone in their path. Two hours later, 12 students and a teacher were dead, 21 others wounded and the perpetrators felled by self-inflicted gunshots. All of us have pondered the reason for this massacre. What could have prompted these two high school seniors to become obsessed with killing their fellow students? We have heard a lot about them being outcasts, the trench-coat mafia and other theories. I wanted to read one well researched account of how Columbine became a reality. I wanted the truth. Dave Cullen took ten years of pain-staking exploration to produce this well-documented account of the tragedy. He delves deeply into the lives of Eric Harris and Dylan Klebold and offers concrete reasons for their actions. Additionally, Mr. Cullen is a talented writer and is able to keep the reader turning pages quickly. I very much enjoyed reading this lengthy account of the Columbine debacle and gave it four **** stars. As a word of caution, there are several knowledgeable sources who claim Dave Cullen ignores the “they were bullied” theory in providing the reason behind their actions and that both boys were indeed bullied and this played a much more important role in why this happened. You have to decide if you agree with that argument.